A native Texan, Dr. Green grew up in El Paso, but went to New York City for his orthopaedic and hand surgery training. In 1970, he joined the full time faculty of the Department of Orthopaedics at the Medical School in San Antonio. For eight years he was the Coordinator of Resident Training, serving also as Chief of the Hand Surgery Service. While at the medical school, Dr. Green co-authored, with Dr. Charles A. Rockwood, a two volume textbook on fractures that is now in its 8th edition and is the standard reference book on this subject. It is used in all orthopaedic residency training programs throughout the country. In 1978, he left the medical school and became the first surgeon in San Antonio to devote his practice entirely to hand and upper extremity surgery. Dr. Green has a special interest and extensive experience in treating athletic injuries of the hand and wrist. He was team physician for the Clark High School football team, and continues to treat high school and college athletes from the San Antonio area and surrounding communities. 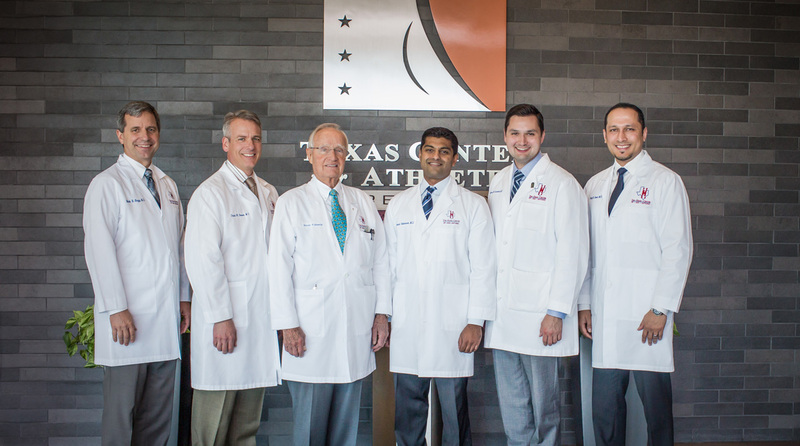 He was the hand surgery consultant for the San Antonio Spurs, and has treated numerous professional athletes, including members of the Dallas Cowboys, world class gymnasts, professional rodeo cowboys, and golfers on the PGA tour. Dr. Green has edited a comprehensive textbook entitled Operative Hand Surgery (now in its 7th edition), which is used not only throughout the entire United States, but by hand surgeons invirtually every country in the world. Because of this book, Dr. Green has an international reputation in hand surgery and has been invited as a guest speaker to many foreign countries. He is also a past president of the American Society for Surgery of the Hand, and in 1997 was named the Distinguished Alumnus of his own residency training program, The New York Orthopaedic Hospital. He was also named the 2016 Distinguished Alumnus of his alma mater, Baylor College of Medicine. 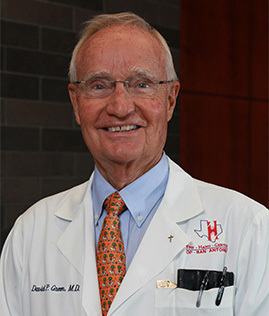 In 2019 the Bexar County Medical Society honored Dr. Green with their Golden Aesculapius Lifetime Service Award. Dr. Green is an enthusiastic skier, a drop-out bluegrass banjo picker, and has published several non-medical books: 1) Taking Stock (1995) 2) Place Names of San Antonio (2002), which reveals stories behind the names of nearly 1000 streets, parks, schools, buildings, etc. in Bexar and surrounding counties. A 3rd edition was published in 2011. 3) Planning Ahead. Successful Retirement for the Type A Personality. (2010). He is also a student of the “what if’s” of history and has published three books focusing on World War II: 1) Hitler’s Money Trail (2015); 2) Rudolf Hess’ Mission. The Flight That Might Have Changed History; and 3) Plague in the Pacific. How Japan’s Unit 731 Might Have Won the War (2017). His most recent book is The Also Rans. One Step Short of the Presidency. (2018). This latest book is a collection of mini-bios about people who lost a presidential election, ranging from Wendell Willkie in 1940 to Hillary Clinton in 2016. All of these books can be found on his author page on Amazon.com – David P. Green, MD.